Anything that is impossible to be balanced? 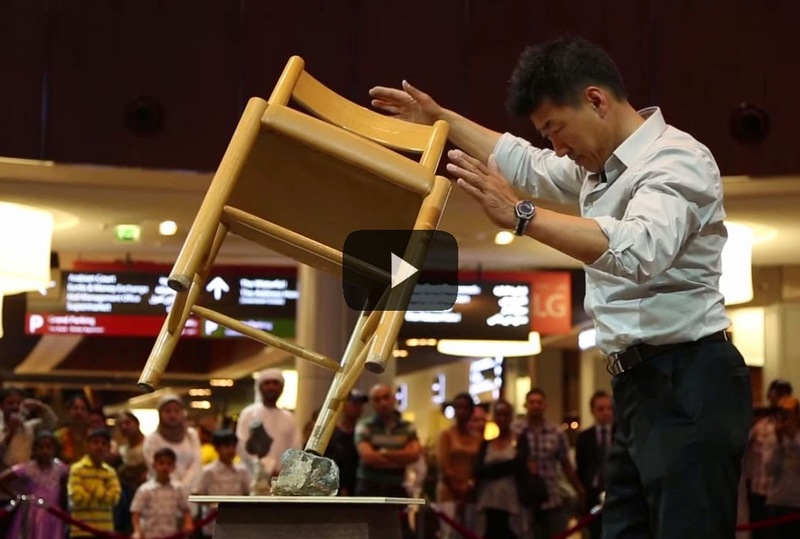 Rocky Byun will make it balance on any point, miraculously making it stand still in seemingly impossible positions. Even with his eyes closed. Whether its a Rock, stone, cellphones, chairs, bicycles, motorbikes, washing machines—it doesn't matter.. Video shows his performance in Dubai.